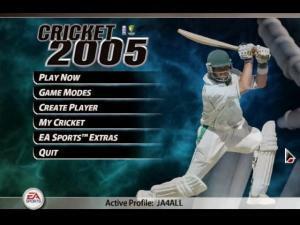 Cricket 2005 is a sports title published by Electronic Arts (EA) and developed by HB Studios. It runs on a modified version of the engine used for the Madden 2005 game. EA released Cricket 2005 for Windows, Xbox and PlayStation 2.